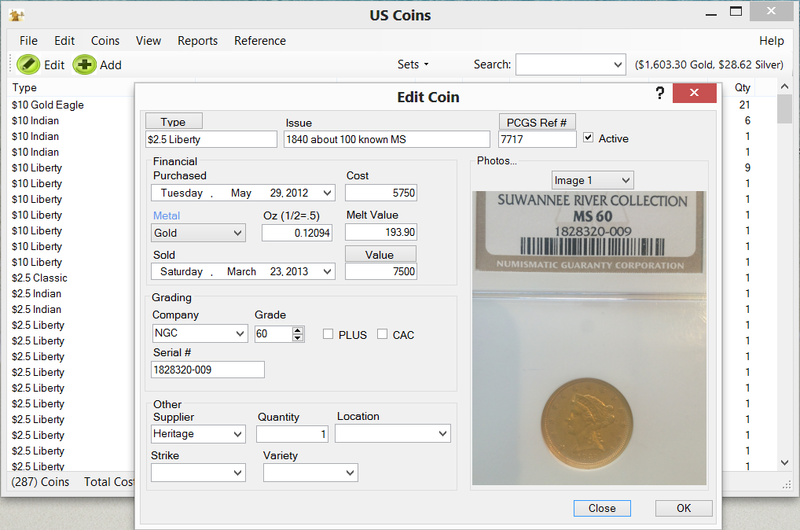 We are happy to announce final release of US Coin Collector for Windows, with features matching our suite of iPhone & iPad App's, you can capture and view your collection on-the-go or home at your computer. The final feature completed this week included support for Sets. 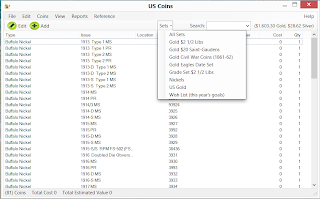 The Set's view allows you to create an unlimited number of Coin Sets, tracking and building your collection one coin or a whole series at a time. 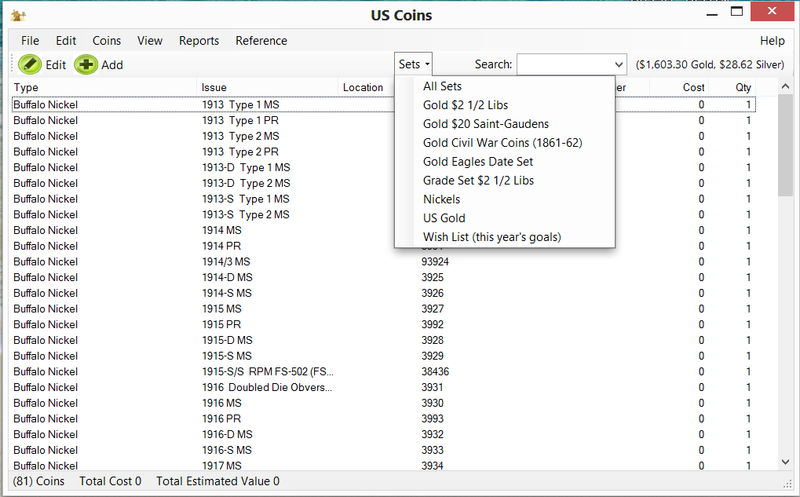 All reports can be run against any set in your collection, a new feature that goes beyond what our Apple iPhone, iPad App's support. 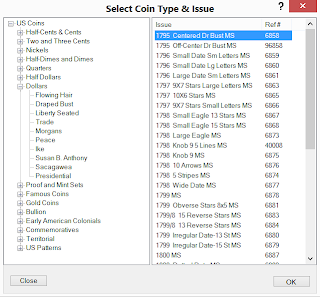 Adding new coins to your collection has never been easier. 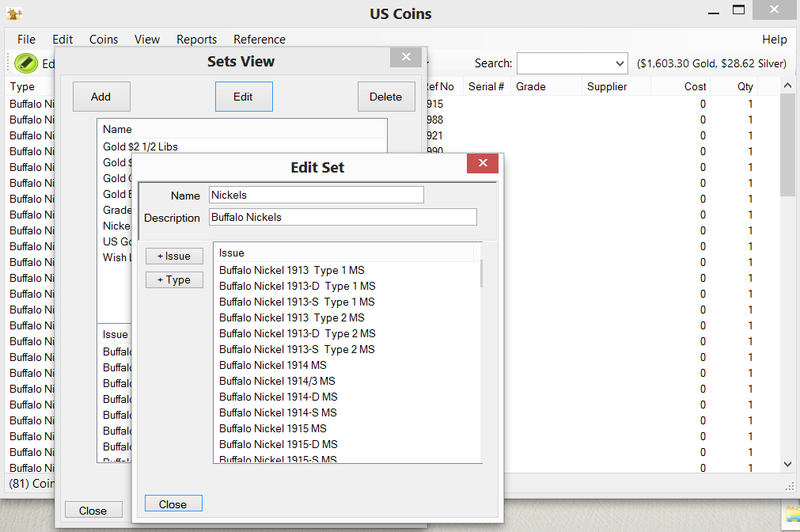 You can add coins one at a time, or entire Sets including all coins within a Type with about 7 mouse clicks. 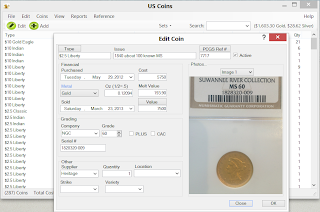 Check this post for a review of Adding and Editing coins. 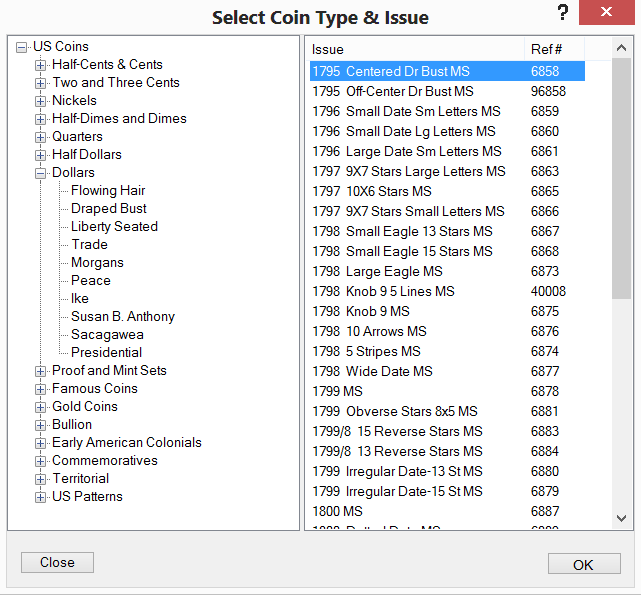 Buy it and support continued updates of your App's for Windows and Apple iPad and iPhone (link).